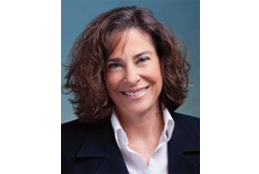 Pamela Scott offers over thirty years of experience. Her tenure in commercial real estate includes working for CB Richard Ellis and Grubb & Ellis where she was trained and learned the business. Later, she worked for Hayes Commercial and Lee & Associates, where she was a top broker. In 2016, Pamela founded GPS Commercial Real Estate Services, Inc., to provide superior market knowledge and personal service to her clients. Over the years, Pamela has completed both lease and sale transactions involving thousands of square feet of commercial retail space in the tri-county (Santa Barbara, Ventura and San Luis Obispo) area. For property owners, Pam develops strategies to enhance the value of a real estate asset through four key elements: positioning the product in the marketplace, identifying suitable prospects, creating customized marketing plans and tools, and managing all of the steps in the transaction process. As one of the few local members of the International Council of Shopping Centers (ICSC), Pam can harness a vast network of tenants and brokers to your leasing benefit. Her experience with tenant representation yields better understanding of tenants’ needs, allowing her to position and lease properties for landlords more effectively. With more than thirty years of experience, Pam has developed relationships with countless local, regional and national investors who are interested in properties in Ventura, Santa Barbara and San Luis Obispo Counties. Her knowledge of each local market ensures that the landlords she represents will receive the highest possible return on their real estate investment. For tenants, Pam has developed regional strength based on established relationships with property owners and brokers. Tenants benefit from her reach, experience and understanding of the market through all stages of the process, including defining requirements, site selection and analysis, and negotiation. She has helped a wide range of tenants find the right space for their business with her extensive market knowledge. Pam provides consultation regarding property site analysis to determine the appropriate requirement for a tenant’s specific needs, both in terms of demographics and positioning. Pam’s market knowledge and resources ensure that clients have access to all available opportunities. In addition, because she works cooperatively with other brokers and has many landlord relationships, Pam often knows about upcoming properties before they are on the market. Once potential sites are chosen, Pam helps with the research to determine the best possible site.